Prosecutor seeks 6 years in prison for former high-ranking investigator Lamonov | Russian Legal Information Agency (RAPSI). 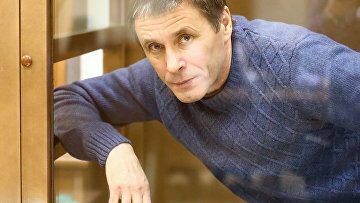 MOSCOW, July 19 (RAPSI) – Prosecutor Igor Potapov on Thursday demanded to sentence former high-ranking investigator Alexander Lamonov involved in a bribery case to 6 years in prison. Moreover, a fine amounting to nearly 32 million rubles ($504,000) was requested as a punishment for the defendant, the prosecutor told RAPSI. According to prosecution, Lamonov is also to be prohibited from holding positions in the government for 3 years and stripped of colonelship. Sentencing of Lamonov has been scheduled for July 26. Earlier, the defendant has pleaded guilty.